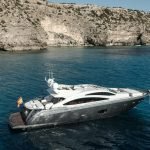 This luxury motor yacht ALVIUM is a Sunseeker Predator 84 (26 mt), available for charter in the Balearic Islands. 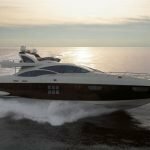 Combining powerful speed with the height of luxury design she is built for both extravagance and comfort. 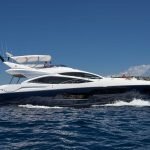 This stunning Sunseeker 84 is a a stylish and powerful charter option which is sure to turn heads. 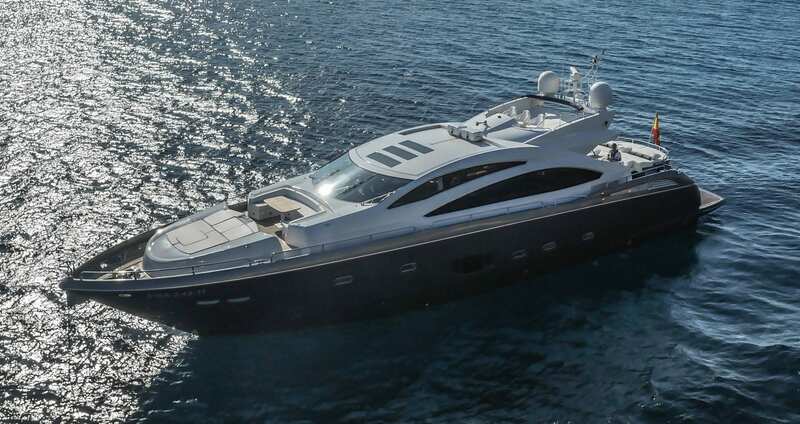 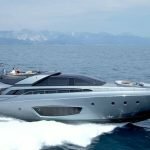 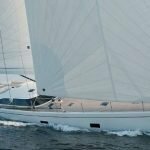 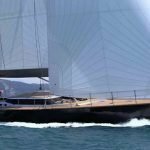 Built in 2010, she is at the cutting edge both performance and design in motor yachts. 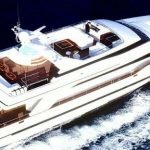 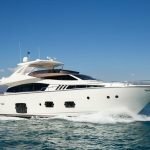 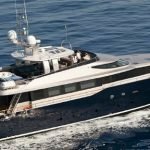 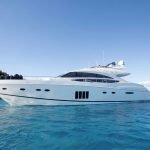 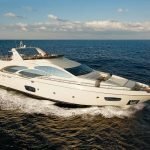 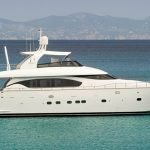 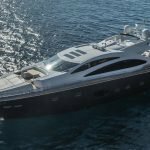 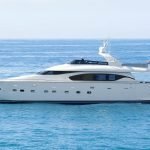 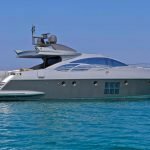 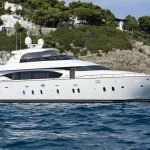 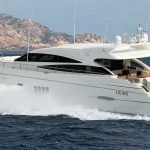 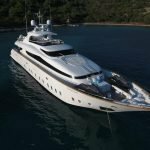 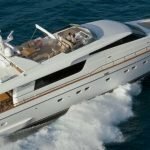 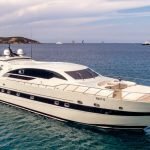 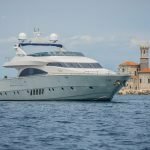 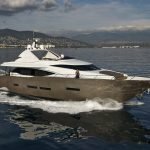 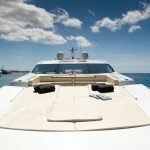 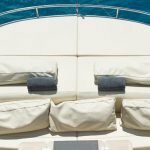 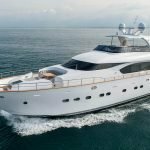 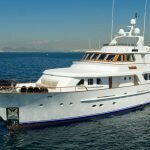 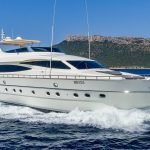 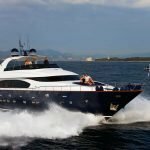 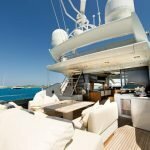 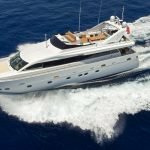 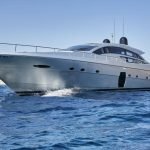 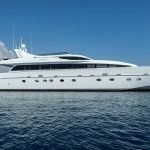 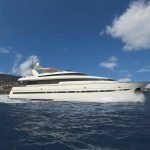 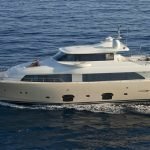 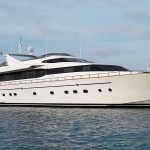 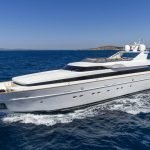 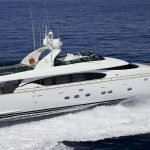 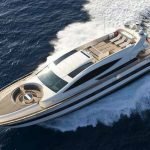 The ALVIUM motor yacht has a comfortable and stylish salon with plenty of seating and an entertainment area, with an adjoining formal dining area. 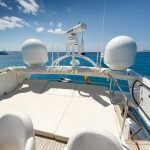 All the way forward is the helm with 3 fixed chairs where you can see the captain manoeuvring the yacht. 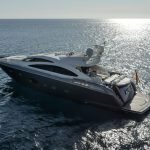 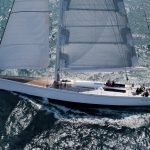 External social areas of ALVIUM include a comfortable aft cockpit with sunpad and al fresco dining area, wetbar and BBQ, while the foredeck sports the arrowhead configuration of dining arrangement and further sunpad. 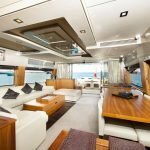 The sports flybridge is also popular spot to relax while underway or while relaxing a anchor. 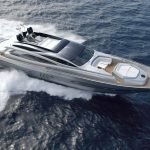 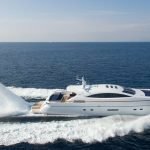 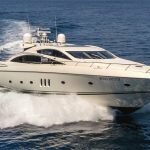 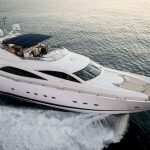 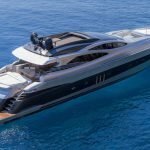 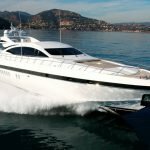 At full speed, Sunseeker Predator 84 it is seldom eclipsed, leaving everyone else behind in its wake. 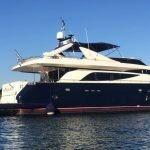 The Predator 84 motor yacht ALVIUM is able to accommodate 8 charter guests in 4 cabins including a master, a VIP and 2 twin cabins. 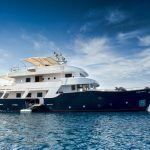 Her Master cabin is full width of the beam and it features a king size bed, flat screen TV, DVD, IPod dock, home cinema, walk-in wardrobe and en suite bathroom. 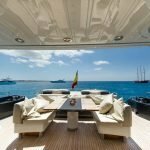 The master cabin also provides magnificent sea views through the port holes while under way. 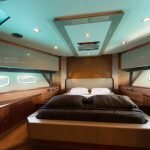 The VIP Cabin, located aft, has a double bed plus a flat screen TV, DVD, IPod dock and en suite bathroom. 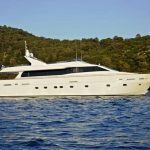 The Twin cabins located to port and starboard have twin beds, flat screen TV, DVD, IPod dock and en suite bathrooms. 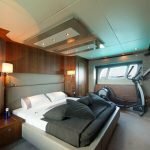 Both cabins have an extra Pullman bed, only suitable for children but allowing an increase of charter guest capacity up to 10 people.